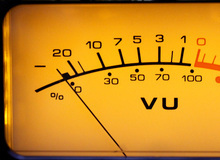 The Loudness War - Part 11 In this installment in our series discussing the consequences of volume on music, sound and human ears, we look at tools for measuring loudness. The Loudness War - Part 10 In this installment, we'll discuss the consequences of volume on music, sound and human ears. The Loudness War ─ Part 9 In this new installment we'll continue discussing the consequences of volume on music, sound and human ears.